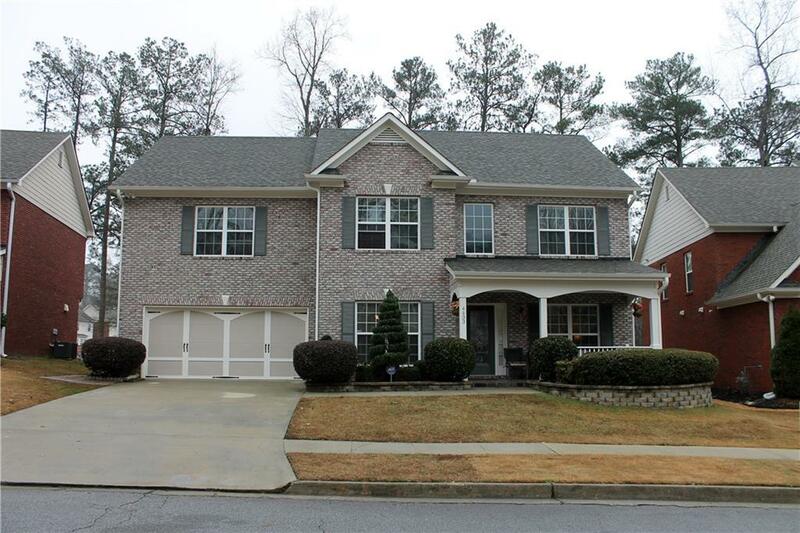 Immaculate 5 bedroom 2.5 full bath, with 2-story foyer and some hardwood and tile throughout. Large open kitchen with breakfast area, and solid surface tops, laundry on main. 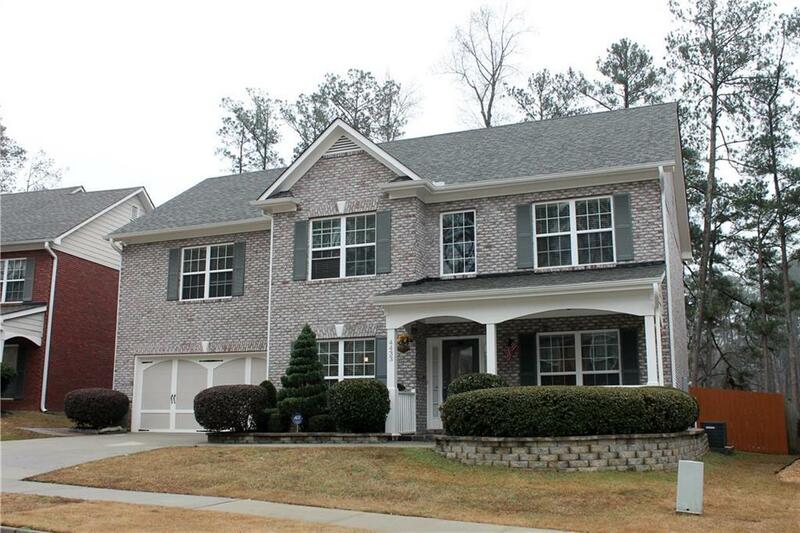 Over sized master suite with jetted garden tub, double vanities, and walk-in closet. Spacious secondary bedrms, with immaculate tiled bath. Lg stone patio, with beautiful fencing and access to lake in the back. 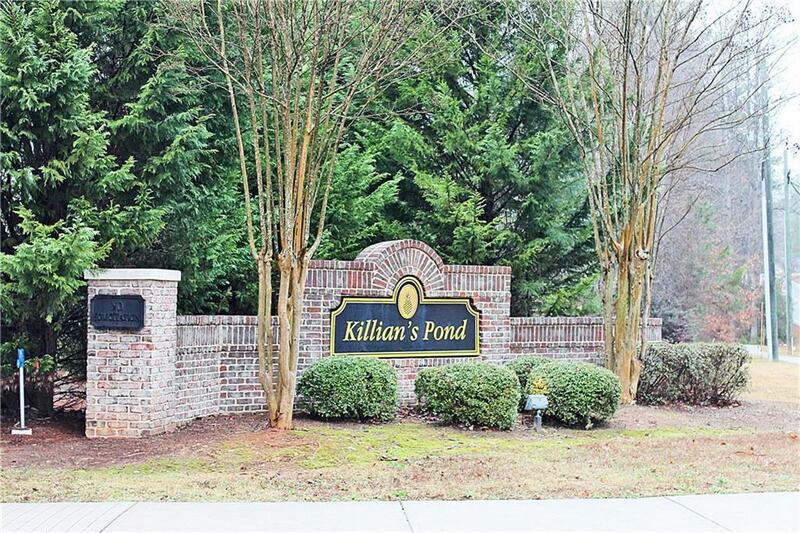 Upgraded builder finishes to include cobblestone brick front, crown moldings and more. The stove and laundry could be used as gas or electric. 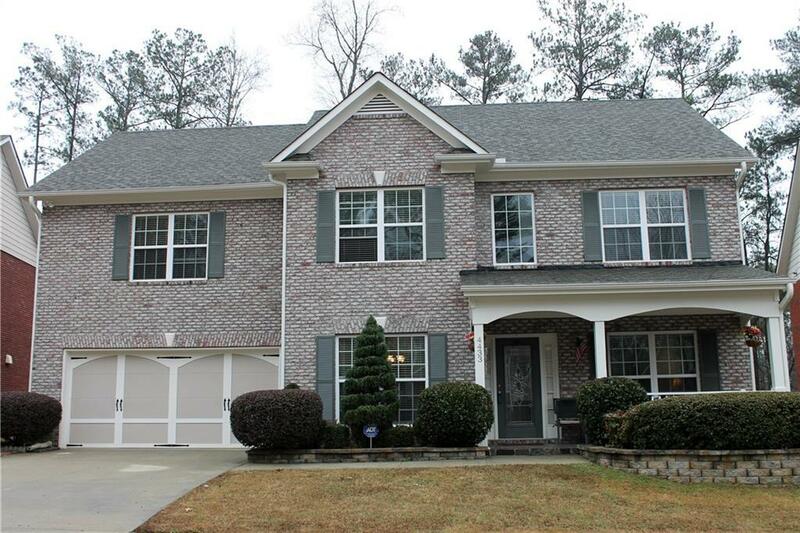 MOVE IN READY- IMMACULATE HOME! You'll Love it!